Jackson Heights / Flushing / March 4, 2010. 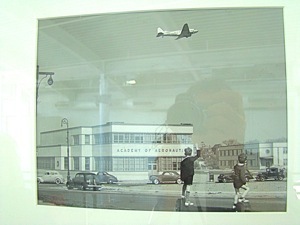 Vaughn College was originally the Casey Jones School of Aeronautics, which opened its doors in Newark, NJ in 1932. At the time Newark was New York City’s primary airport. At the time Brooklyn had an airport, Floyd Bennett Field, but its location was inconvenient to travel into and out of the city. 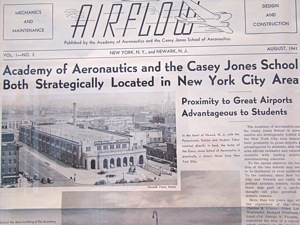 In 1941, only two years after the new airport in Queens had opened, the Casey Jones School of Aeronautics moved from Newark into Queens and was commemorated by Mayor LaGuardia. 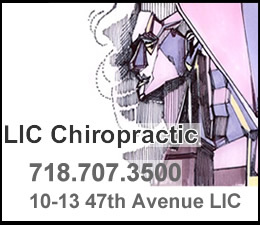 The school campus is still located only a few blocks away from La Guardia Airport. In the war years that followed [WWII], the Casey Jones School educated and trained 20,000 men and women who supported the nation’s successful air effort during WWII. 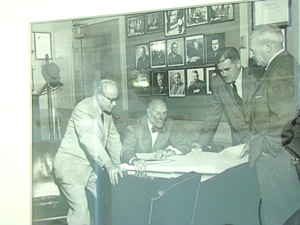 Since the forties, the school has continued to evolve from what was essentially a design and mechanics school [Casey School Of Aeronautics], into a full fledged private four year college [Vaughn College] offering bachelor and associate degrees in engineering and technology, as well as aviation and management. In the report that follows you’ll see photos of planes equipment, engines being taken apart and put back together, flight simulators and the Vaughn College observation tower [photo to left], into which some of the LaGuardia Control Tower chatter is piped. We will also peek into Vaughn College's evolving curricula, which now includes a masters degree, and a nascent mechatronics / robotics program. On Wednesday morning, February 17th, I was met by the Public Affairs Office and was provided with an overview of the college, which offers four primary areas of study: 1) engineering, 2) technology, 3) management and 4) aviation. The first leg of my tour included a visit to a number of classrooms, including the welding shop. 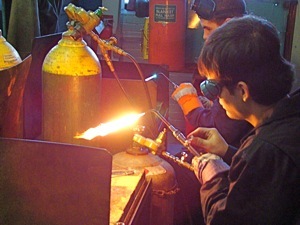 Here about twenty or thirty young students were taught welding techniques. This looked like a fun class, although having 10 – 20 welds going simultaneously could get hot … but not on this cold February day. The other classrooms we visited included a language lab, a writing class, a physics class and a computer lab. We were met by Mario Brienza, the Director of Aviation Training. Mario had been a certified Pan Am mechanic before joining Vaughn in the early nineties. Our first stop was a visit to the engine labs. There are essentially two types of engines used in the aeronautics business: piston or reciprocating engines and jet propulsion engines. 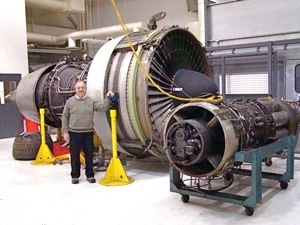 The first type of engine is similar in design to the ones used in automobiles, and is frequently used for small planes, while the second type is used for larger aircraft. We visited a lab where students were busy taking apart and putting back together these engines in order to understand the function and location of every part. We then visited the landing gear lab, which was not in process at the time. Taught similarly to the engine lab, this is where students learn the functions and location of every hydraulic and braking system part. 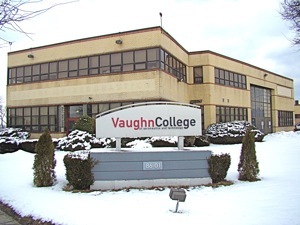 One of the advantages of enrolling in Vaughn College, is that given its close proximity to two of the nation’s largest and busiest airports [LaGuardia and JFK], the Vaughn College Faculty includes many teachers who are currently or were formerly working in the profession they teach. The faculty includes current and former airline pilots, engineers, mechanics, technicians, airport managers and air traffic controllers. 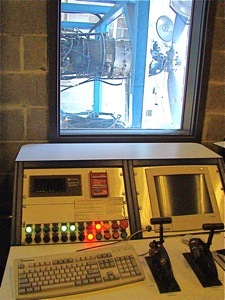 In addition to learning every part of the engine or landing gear, students learn many techniques used to test the systems upon which they work. These labs are called NDT’s or Non-Destructive Testing labs. 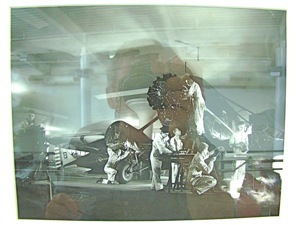 Some of the techniques used include magnetic particle inspection, wherein a part, such as a wing, will be magnetized and then small powder particles are laid out onto it to determine if there are any flaws. Other techniques include the use of ultrasound and x-ray equipment. We walked into a small hangar adjoining the main building where there was a fleet of five small craft. Most of these planes were from the 1960’s and while they’re in pretty fair shape, they are essentially used to conduct lab work, wherein the students insert the engine or landing gear as part of their practice. Mario made a number of analogies to the medical profession, wherein the doctors learn all the parts and functions of the human body and then do lab practicals on the ‘cadavers’. 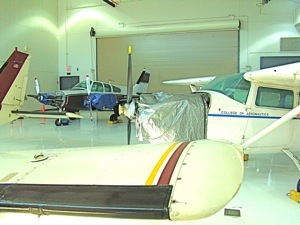 He compared these planes to the medical community cadavers. Out of the building on the campus grounds there is a line of garage stalls, where additional tests are conducted on functional engines using computer technology. 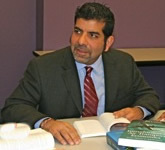 Prior to obtaining a four-year degree at Vaughn College in some degree programs, one has to complete an internship performing the role for which the studient has studied. Many students land their first post-graduate job in this manner as it gives both the student and the company an extended period with which to become acquainted. 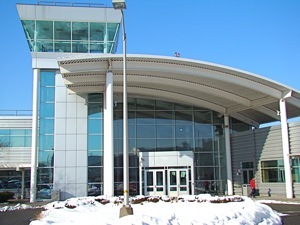 Vaughn has close ties to many airports due in part to its close proximity to the local airports such as JFK and LGA in Queens, Westchester and Farmingdale in New York, Teeterboro and Newark in New Jersey, and several nearby airports in Connecticut. 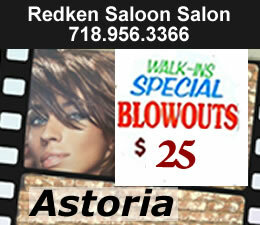 Vaughn also has close ties to companies in the industry such as Jet Blue, which is located in Forest Hills. Naturally one of the more delightful aspects of the tour was ‘taking a ride’ with Robin Ruggiero. Robin is a seventeen-year veteran of Vaughn College, the former department head of Aviation and Avionics and a current professor of aviation. He took me for a ride in two simulators: 1) a small Cessna craft, complete with full projection and full motion and 2) in a large 747 jet, complete with full projection. You may be able to enjoy some of the ride via a coming slide show. 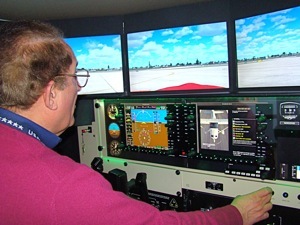 Paul Kortyny, a simulator flight instructor, will be seen training a student in one of the photos. Actual flight training is not provided at the school, nor at our city's transportation hubs such as LaGuardia, JFK and Newark - but rather at some of the smaller municipal airports in New Jersey [Teeterboro], New York [Farmingdale & Westchester] and Connecticut. I met Dr. Naveen Seth, who has a doctorate in economics and is the Chair of Vaughn College’s Management department. Management plays an increasingly important role in aviation, as I was informed that “running an airport is like running a small city”. This quote was made by Susan A. Baer, Director of Aviation at The Port Authority of New York and New Jersey, former director of JFK Airport and a Vaughn Board member. 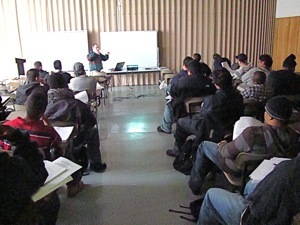 Vaughn College recognizes that negotiating with contractors and managing labor issues are important parts of modern day aviation management. In 2007 Vaughn began offering a Masters degree in airport management. 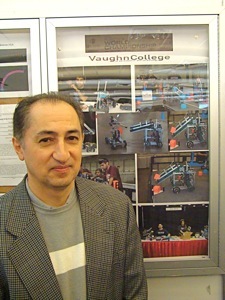 I also spent a bit of time with Dr. Hossein Rahemi, Chair of the emerging Engineering and Technology department. He joined the faculty about three years ago and has been working diligently to build up the Bachelors Program in Mechatronics. Mechatronics is so new, it isn’t currently listed as a word in the dictionary. I was informed that like Avionics, which is a combination of aviation and electronics, mechatronics is a combination of mechanics and electronics. In its essence, Mechatronics is about the creation and use of electrical / mechanical devices, using chips and software to automate their functions. The school has won a number of awards in its first three years, so Vaughn is off to a promising start in this new area. Jo Ann Jayne, Director of the Library gave me a tour of it. The current library, like the old building to which it is attached, both have this endearing 1940’s appearance. 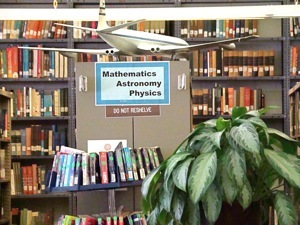 But within these walls one can also find the latest in computer technology, modern management and flight training / engineering materials. There were also a couple of modest flight simulator workstations in the library. Vaughn will begin work on the new library in the summer of 2010 with an expected completion date of late 2011. 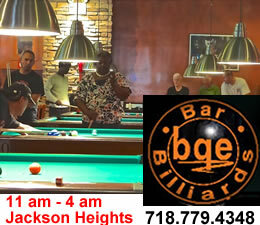 Vaughn has the appearance of an up-and-coming institution, with a fascinating history. A large new classroom / administration building was completed in 1998, and the college’s first residence hall with a capacity of 200 beds, was completed in 2007. Currently there are plans in the works to add another section to the main building to replace and enhance the existing library. Tuition and fees average between $32,000 and $65,000 for a four year degree. Upon graduation, most students land entry-level positions earning about $35,000. Phillip Meade who is the Director of Career Services, informed me that placement rates were pretty high due to the college’s close ties with the aviation industry. The Vaughn undergraduate catalogue states that 93% of graduates are placed in jobs within six months of graduation. Naturally, wages increase with experience, and like doctors, many students go onto specialize. A few final notes: The Casey School of Aeronautics was founded by Charles Casey Jones who was a pilot. In 1932 he enlisted the support of WWI flying ace George A. Vaughn, Jr. and engineer Lee D. Warrender to start the school. The Associates, Bachelors and Masters degrees offered by Vaughn are accredited, but are specialized in nature, so if you’re planning on starting at Vaughn College and transferring to another school, you should check to make sure that the class credits you take are transferrable. Vaughn offers financial aid and they have a job fair that’s open to the public on April 15th from 10 A – 1 P. Vaughn also hosts a Technology Day near the end of April which we hope they will post in our Members Events calendar. 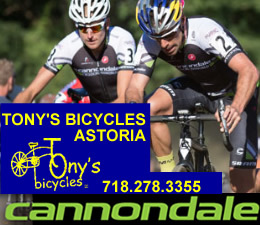 While technically the school is in the Flushing zip code, it's adjacent to East Elmhurst and hence we have filed it in the Jackson Heights / Elmhurst neighborhood section of our site. I also want to thank the faculty and staff for their gracious and informative hospitality during my visit. 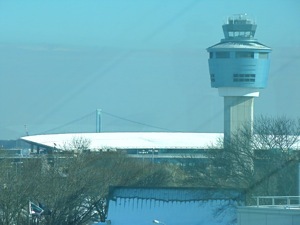 Lastly, you may have noticed that LaGuardia Airport has erected a new air traffic control tower, for which the construction is largely completed. Currently the equipment is being installed and tested. The new tower will run simultaneously with the old one for about a year ending sometime in 2011, possibly as late as 2012. Have a safe journey and a happy landing. 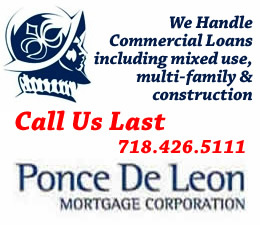 Click this link to view a map showing the telephone number and location of Vaughn College in Queens NY. 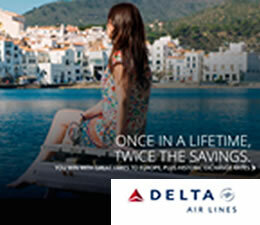 Jobs Related Links - Transportation Security Administration - Federal Jobs - Expires July 26th. Click here to view job postings for TSA jobs in Queens. 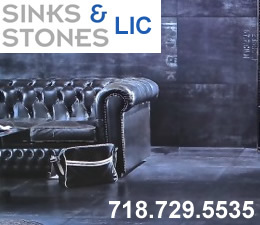 Click this link to go to the Jackson Heights & Elmhurst Neighborhood News / Jackson Heights & Elmhurst Restaurants Guide & Map / Jackson Heights Business Directory / Elmhurst Business Directory / Jackson Heights & Elmhurst Shopping Center & Map. Queens Buzz Site Search. 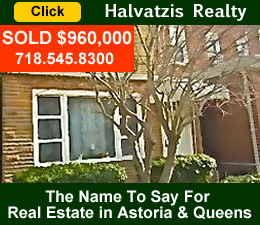 To find restaurants, shopping or other things to do in any of the neighborhoods, use the search function: 1) for best results, when typing in more than one word, use quotation marks - eg "Astoria Park" and 2) try both singular and plural when searching for a specific item such as "gym" or "gyms".